I love a good series. I love opening a book and feeling like I'm catching up with old friends or absolutely loving everything about a book and discovering there are 4 more in that same world. I'm not so great about actually keeping up with them though! This was one of my 2018 resolutions but I didn't actually set in parameters it was more of a just read more kind of resolution. This year I'm listing 10 series I actually want to make progress on so that I'll have something to track. Because I love having something to track almost as much as I love a good series. 1. 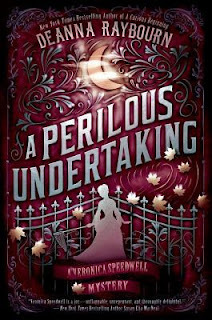 A Perilous Undertaking by Deanna Raybourn (Veronica Speedwell series) - I read the first in this series and absolutely loved it. I'm excited to continue to see where the series goes and I absolutely love the covers. 2. The Storm Sister by Lucinda Riley (The Seven Sisters) - I enjoyed the 1st one in this series and got this one on audio a few months ago. 3. The God of the Hive by Laurie R. King (A Mary Russell Mystery) - I started reading this series years ago and loved it but for some reason I got off track and haven't read this one even though I read the companion to it within the same serious two years ago. 4. No Mark Upon her by Deborah Crombie (Duncan Kincaid and Gemma James) - Pretty much the same as above. I'm listening to the first one now and remembering just why I enjoyed the series so much. 5. Thursdays with the Crown by Jessica Day George (Castle Glower) - I really loved the first two and am excited to see what happens next. 6. Murder of Crows by Anne Bishop (The Others) - I was really surprised with how much I enjoyed this one and am looking forward to continuing with this world. 7. Cress by Marissa Meyer (The Lunar Chronicles) - I loved the first two but I think the page count has intimidated me from picking this one up. I think I'm going to use my next Audible credit for this one to take care of that because I really want to see what happens next. 8. Classified as Murder by Miranda James (Cat in the Stacks) - Honestly, I didn't love the first book in this series but I've thoroughly enjoyed the most recent few and want to go back to the beginning and try again. 9. The Whole Cat and Caboodle by Sofie Ryan (Second Chance Cat Mystery) - This is actually the first book in the series. I read the most recent one in 2018 and really loved it and it's definitely a world I want to spend more time. 10. Death of a Dishonorable Gentleman by Tessa Arlen (Lady Montfort Mysteries) - Essentially the same as above. How do you feel about a book series? Are you good about keeping up with them? I was bad at reading a first book to try the series, then buying the series without staying caught up with it, instead moving to try other first books. This year I'm going back to urban fantasy series that Ibegan in 2010 and 2011 but never finished. Series catchup is high on my list of priorities this year! 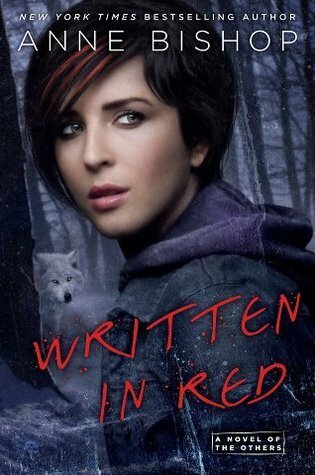 I absolutely love Lucinda Riley's THE SEVEN SISTERS series...one of my favorite series ever!!! I'm caught up in it and have the 5th one - The Moon Sister, which comes out next month, but I'm waiting for the audio to come out. I love listening to them - so good! As you know, I do love series. I manage to keep current on a few, but am behind on others. And then there are those that I usually mean to keep up with, but they fall completely off the truck. And some I do intentionally abandon. In 2019 with my aim to read whatever I'd like, I hope to do some catch-up and also some rereading. Of the ones you listed here, the only one I've read is Deborah Crombie's book. I've been thinking of rereading that whole series. I understand that she is getting closer to finishing the next book or she may actually be finished. Yay! Great plan. Like Kristin I am waiting for the Moon Sister to come out on audio, it is out here in book form the audio of the Pearl Sister was so good on audio thought I might go that way. I also want to catch up on the Lunar Chronicles. I hope you get to the rest of The Lunar Chronicles. They were so good! I'm in the middle of a couple of these series myself. I love series for the reasons you mentioned, but sometimes it's really tough to keep up! My record with series is patchy - I've got several I need to catch up on and others that I've whizzed through without any bother. And I'm not sure why... it's not even connected with how much I enjoyed them. Best of luck with the ones you are going to play catchup with - I also enjoyed the first book in the Lucinda Riley series. And I've heard a lot about Anne Bishop's writing so I want to start reading that. What a great list! I'm in a similar boat, and with some of the same series: Deborah Crombie, the Castle Glower series, and the Veronica Speedwell series (actually, I've read the first three, but need to reread them because I've forgotten some of the details.) 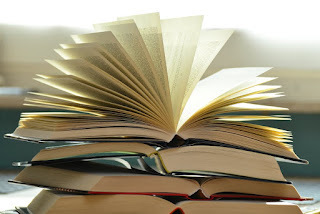 I also need to finish up Charles Finch's Charles Lenox mysteries, keep reading Rachel Aaron's Heartstriker series, and catch up on a couple of cozy mystery series. And there are several fantasy series I want to start or restart, including Juliet Marillier's Sevenwaters books, Jacey Bedford's Rowankind series, and at least one Seanan McGuire series. I have made sure that I have three of these series on my TBR. To either continue or even start.